To head off a 21st century Saturday night massacre, a bipartisan group of senators took the first step last week to protect special counsel Robert Mueller from White House interference. That’s a move that harks back to the last century, when President Nixon initiated the firings that are the signature move of the Watergate scandal after a deal fell through for a sympathetic third party to review the incriminating audio tapes he didn’t want to turn over to Congress. It was the Cold War, and national security offered a compelling rationale, but Nixon more likely acted more to save his own skin. “If I have to get down to a GS-7 at Justice” by firing every person with a higher pay-grade,”I’m going to fire him (Archibald Cox),” Nixon told Buchanan. No one questioned Nixon’s authority, and the White House shut down the special prosecutor’s office that night. “The whole thing was back up and running in a week,” says Buchanan, an indication that the investigation would not die, and that Nixon would be toast. Elected in November of 1976 on a post-Watergate “I’ll never lie to you” campaign, Jimmy Carter signed a collection of reforms in 1978 known as the Ethics in Government Act. The law allowed the Attorney General to recommend the appointment of a special prosecutor to investigate charges of misconduct in the executive branch, with a three-judge panel naming the prosecutor. “One of the great ironies is that the first person it ensnared was Hamilton Jordan,” the president’s newly named chief of staff, says Stuart Eizenstat, Carter’s domestic issues advisor and author of a just-published 900-page account of Carter’s White House years. According to Eizenstat, the bogus charge that Jordan had snorted cocaine at Studio 54 in New York originated with the notorious lawyer Roy Cohn, whose client owned the nightclub, and who sought a plea bargain by claiming he had something on Jordan. Authorized for just five years, the Special Prosecutor provisions of Carter’s Ethics in Government Act were set to expire in October 1983 with President Reagan in the White House. Reagan opposed the law but signed the re-authorization after Congress amended the law’s “hair trigger” so a single accusation could not set it off, and the Attorney General was given more latitude to decide whether further investigation was warranted. The wording was also changed from special prosecutor to a less loaded term, independent counsel. In another touch of irony, Reagan’s longtime friend and Attorney-General designate, Edwin Meese, was the first ensnared by the newly re-authorized law for allegedly improper ties with a defense contractor. The special counsel declined to prosecute. Seven independent counsels were triggered during Reagan’s two terms, including top aides Michael Deaver and Lyn Nofziger for lobbying activities after they left the White House that broached the limits of federal ethics laws. Nofziger maintained he was innocent “of any deliberate violations of law,” and his conviction was thrown out on appeal. A judge called Deaver’s offenses crimes of “circumstance and opportunity” unlikely to be repeated, giving him a suspended sentence and a $100,000 fine. The most controversial and expensive by far of the investigations under Reagan was the probe into the Iran-Contra affair and the selling of arms to Iran in violation of U.S. Law. Appointed in December 1986, Lawrence Walsh was hailed as someone with the perfect political pedigree as a onetime federal judge and high-ranking official in Eisenhower’s Justice Department. But as his investigation stretched out over six years and only one man was sent to prison, a retired CIA officer who had arranged arms shipments to the Contras, Walsh became a pariah among the right and hemorrhaged political support. Reagan called Walsh’s final report “a vehicle for baseless accusations that he could never have proven in court.” Reagan then reluctantly signed another five-year reauthorization of the law, even though he believed it was unconstitutional. It wasn’t. The Supreme Court upheld the law in 1988 in a 7-to-1 ruling. Walsh’s investigation cost $48.5 million, and though he secured eleven convictions, many were overturned and George H.W. Bush, Reagan’s successor, pardoned six defendants on Christmas Eve of 1992 after losing that year’s election to Bill Clinton. Among them was Defense Secretary Caspar Weinberger, indicted on five felony counts, who was pardoned before he was even tried. First Lady Hillary Clinton had famously urged her husband to call for an independent counsel for Whitewater, a land deal that had gone awry, thinking that would wall off the burgeoning scandal and keep it from being a distraction to her husband’s presidency. In January of 1994, Attorney General Janet Reno appointed special prosecutor Robert Fiske, who was succeeded by Kenneth Starr, who pursued the Monica Lewinsky scandal, and finally by Robert Ray, who wrapped things up in 2000. The Clintons were never charged with any crime but the drumbeat of scandal pursued them both in and out of office. Hillary Clinton had the dubious distinction of being the first First Lady to testify before a grand jury when she was subpoenaed in the Whitewater investigation. By mid-1998, there were seven separate investigations of Clinton administration officials, including Mike Espy, Clinton’s Secretary of Agriculture who’s currently running for the Senate in Mississippi. He was indicted in 1997 on 30 criminal charges of accepting improper gifts, including sports tickets, lodging and airfare. After a trial where more than 70 witnesses testified, he was acquitted of all charges. At least four other Cabinet officials had special counsels looking into alleged ethical lapses. Only one resulted in an indictment, and that was Henry Cisneros at HUD, who was found to have lied to the FBI about the size of payments he was making to his mistress and mother of one of his children, a revelation that led to his resignation. 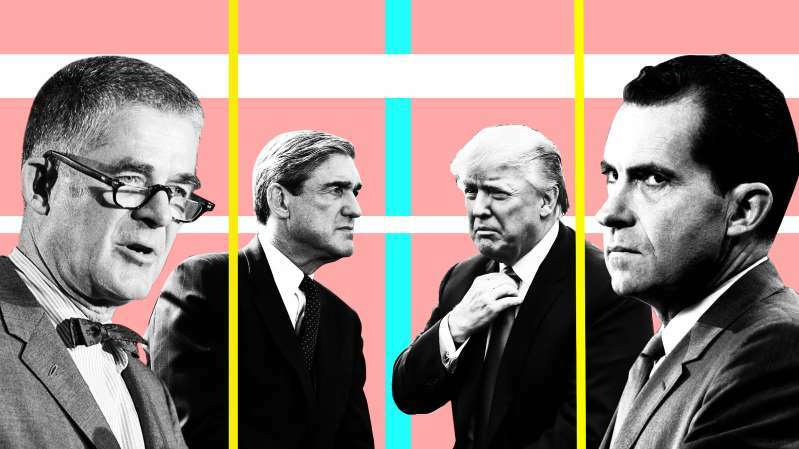 Bruce Babbitt at Interior, Ron Brown at Commerce, and former Labor Secretary Alexis Herman all escaped without being indicted, raising questions about whether the law was too broadly drawn and whether it was being used to weaponize political fights. By June 30, 1999, when the statute was up for re-authorization, it was allowed to quietly expire with bipartisan support. There was no outcry at the time and until Trump fired FBI Director James Comey a year ago, no particular awareness of the need to protect the independence and integrity of a special counsel. “Now we’re seeing what happens when you let it lapse,” says Eizenstat.